Thank You commenting so nicely. 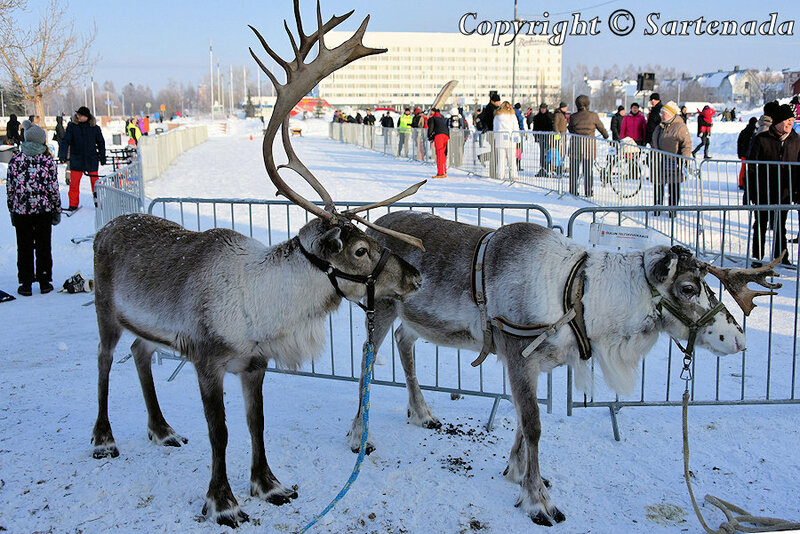 You can meet these reindeers only when there is a winter festival in Oulu. Normally on the first weekend after mid-February. Otherwise on the Arctic Circle nearby the town called Rovaniemi during winter. My post will come later. 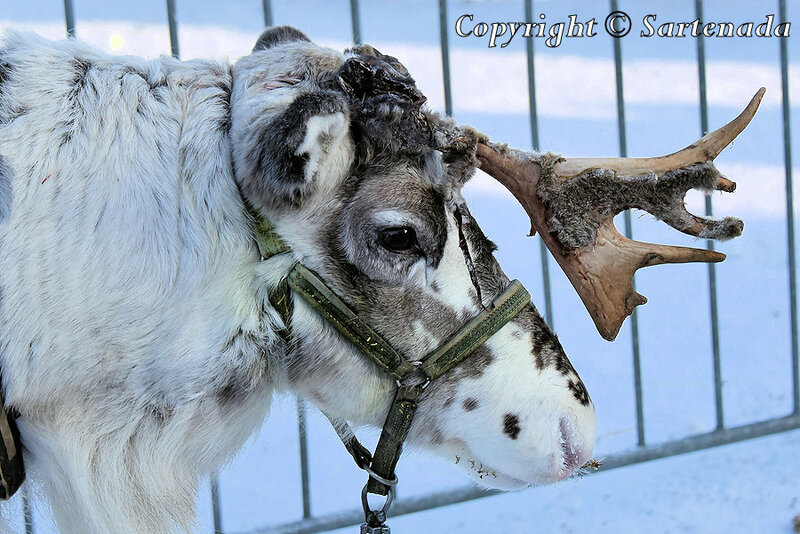 Gorgeous photos Matti, I just love seeing the reindeer they are so photogenic. 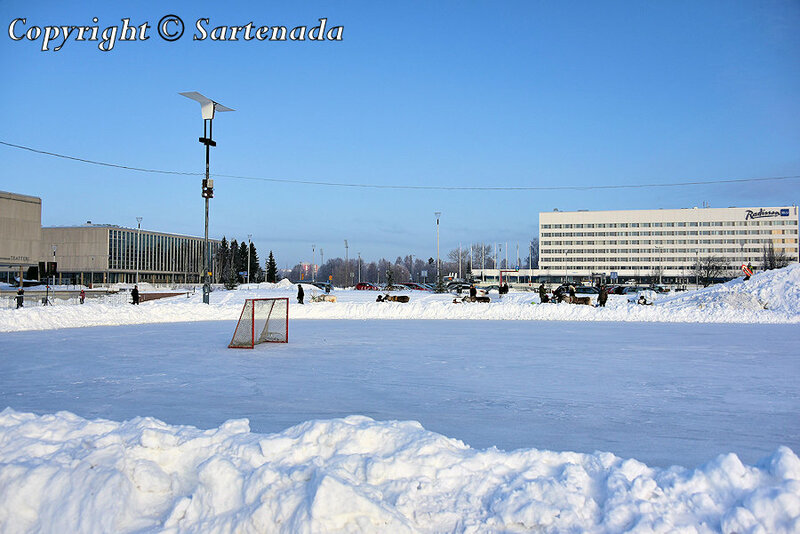 I really must make a visit to Oulu next time I’m in Finland. Very good. 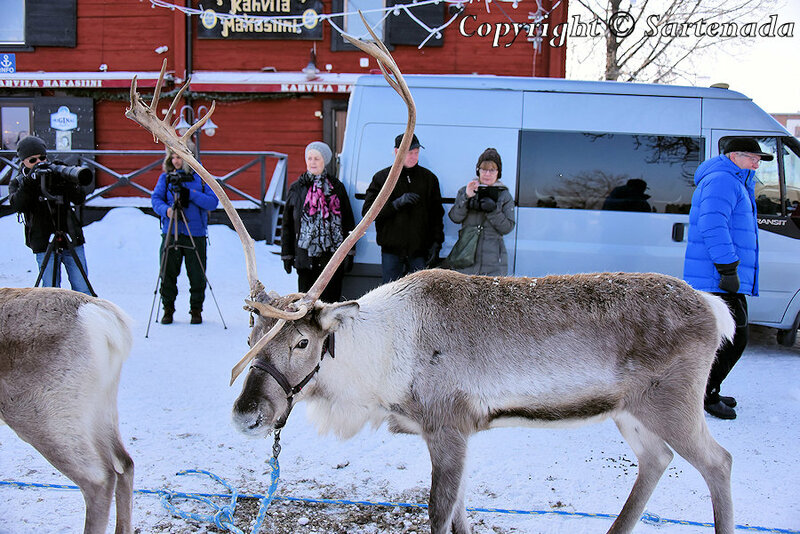 Meeting reindeers in winter and early spring, then You must travel to the Arctic Circle, which is near to the town of Rovaniemi. 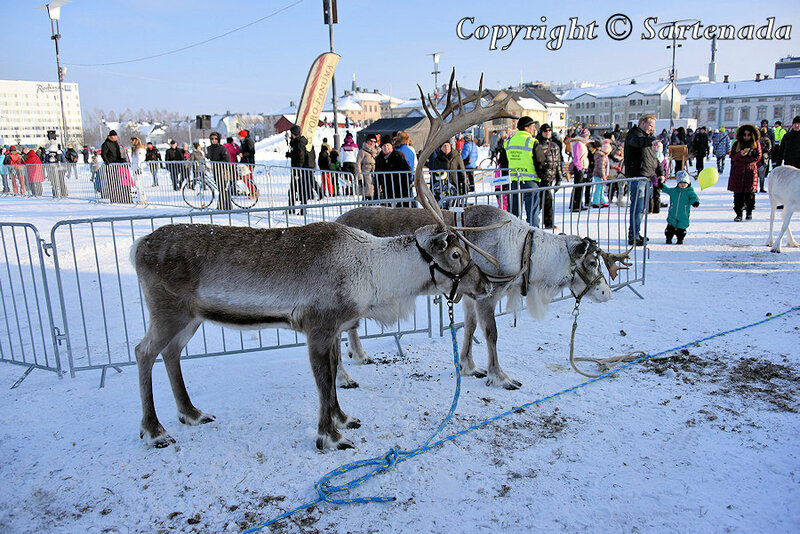 Oulu gets these reindeers only when there are winter festivals on the first weekend after mid-February. Thank You commenting. It is so lovely that they have such great ideas for children to have fun…. I like that scooter like ski thing, I would love to try that really ! Thank You commenting. It is a modern version of kicksled or spark. I had one when being young boy. My Saku dog had a harness and it pulled me – fast. 🙂 At that time our roads were snowy! Some of that looks like fun for grownups too. Lovely photos as ever! 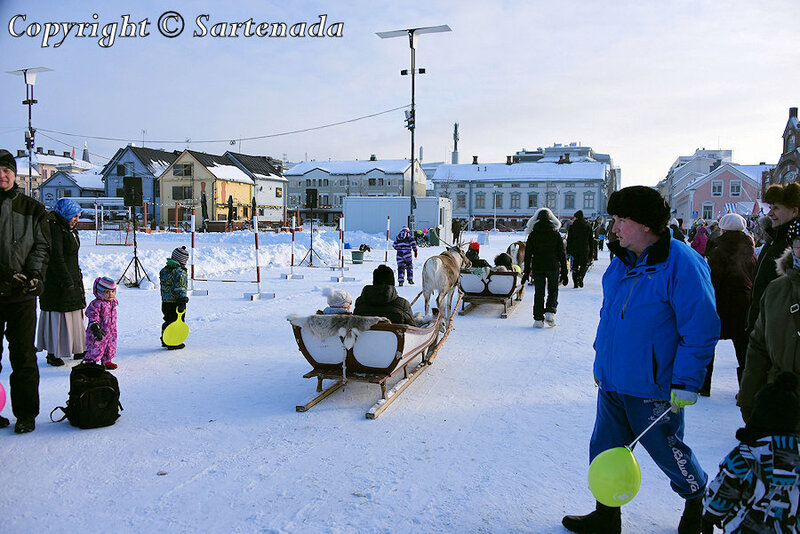 To visit this winter festival, is also a great fun for adults and families. We love it and that is why I shot so many pics. Thank You. Hello! It looks like the kids are having fun with snow. 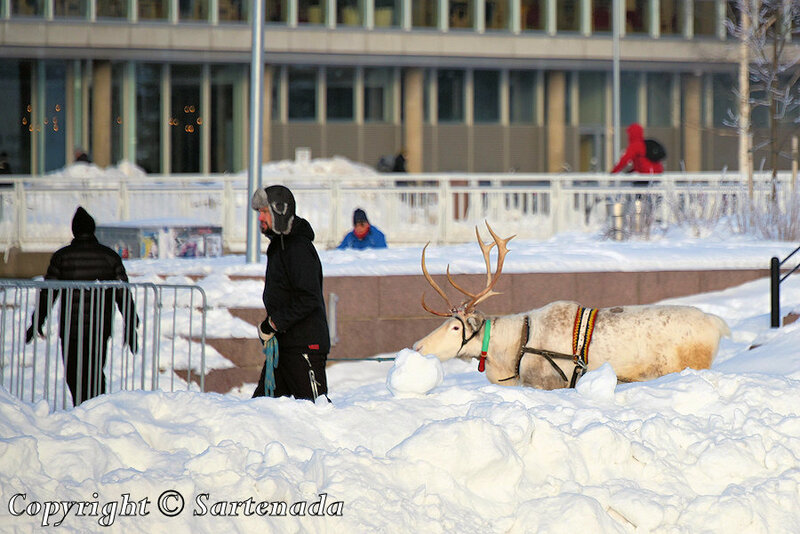 If Japanese children have the opportunity to play with reindeers, they will be most pleased. Have a good day! 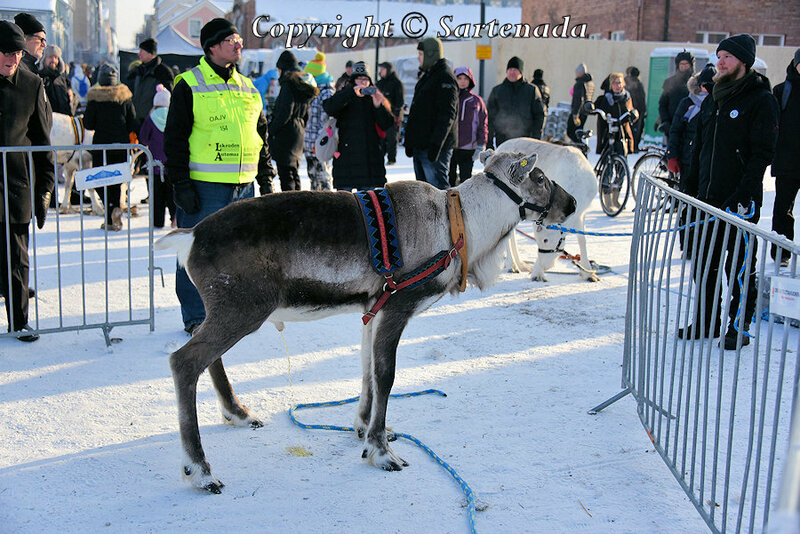 I am glad that You visited my post and loved my photos showing winter festival in Oulu. 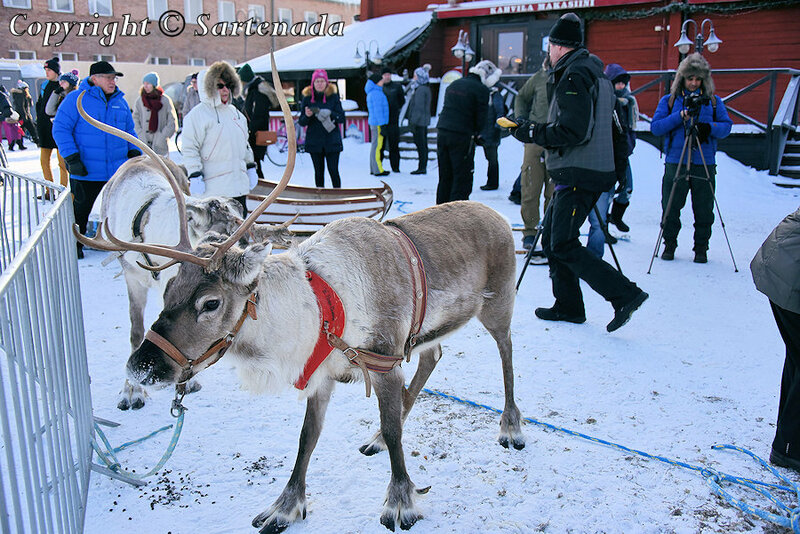 Everyone loves reindeers, because they are cute animals. They roam free on our Arctic Fell, when hiking there: 🙂 Thank You commenting. oh des trottinettes sur patins! c’est génial, je n’en avais jamais vues! les traîneaux, les glissages, que de jeux et de joie pour petits et grands! Je suis content que tu aies aimé mes photos. Merci. oh vous êtes magnifiques tous les deux! merci matti! 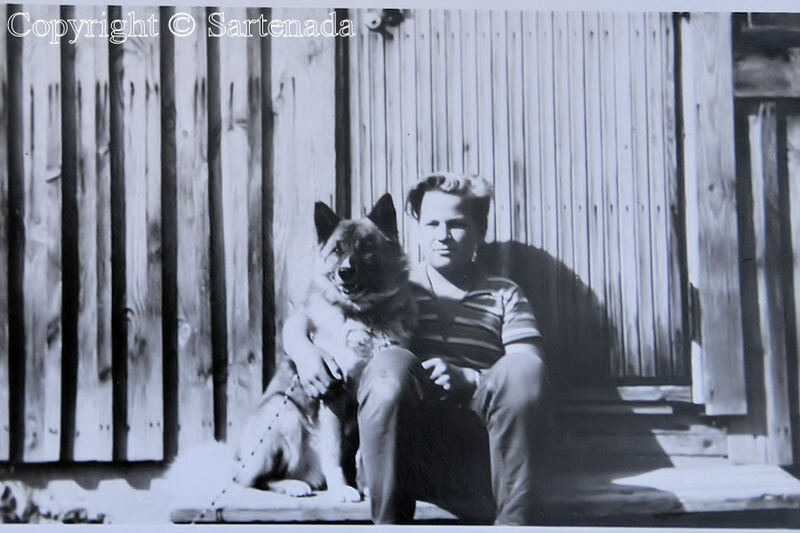 c’était un berger allemand? 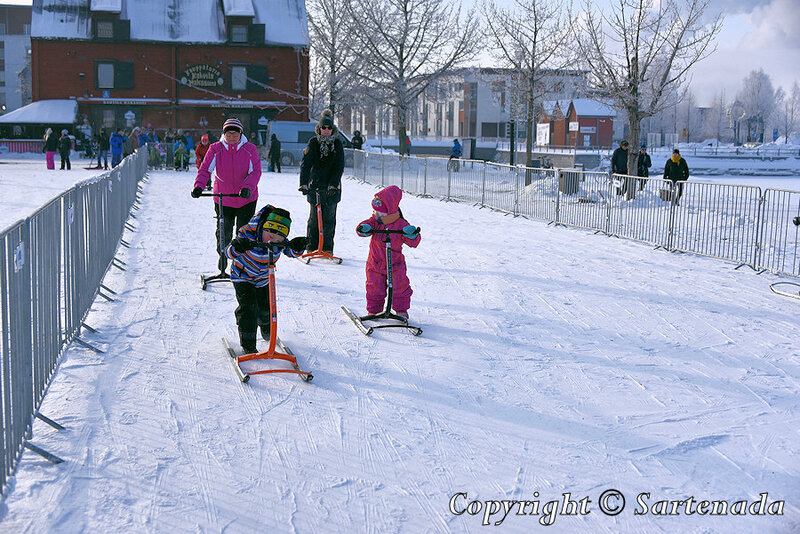 I am glad that You enjoyed my photos of winter fun for families. To me shooting these photos was a great joy also. Thank You leaving Your kind comment. Llego tarde para Febrero 2019, esperemos poder verlo en directo otro Febrero. 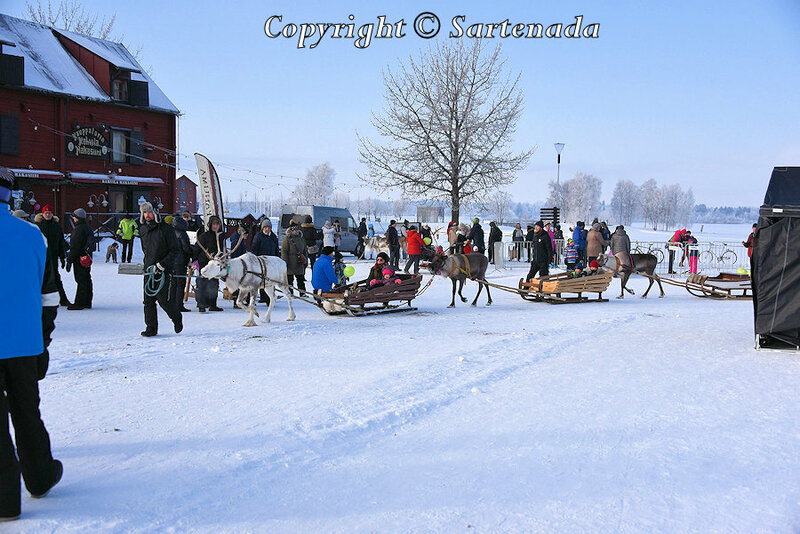 Sería bueno si algún día pudieras visitar Oulu o el Círculo Polar Ártico en invierno. Estoy seguro de que todo sería maravilloso para ti. Muchas gracias. Hola Matti, desde que veo tus maravillosas fotos ya lo he pensado más de una vez. Creo que ya se está colocando en mi “bucket list”. Feliz día, para tí también. 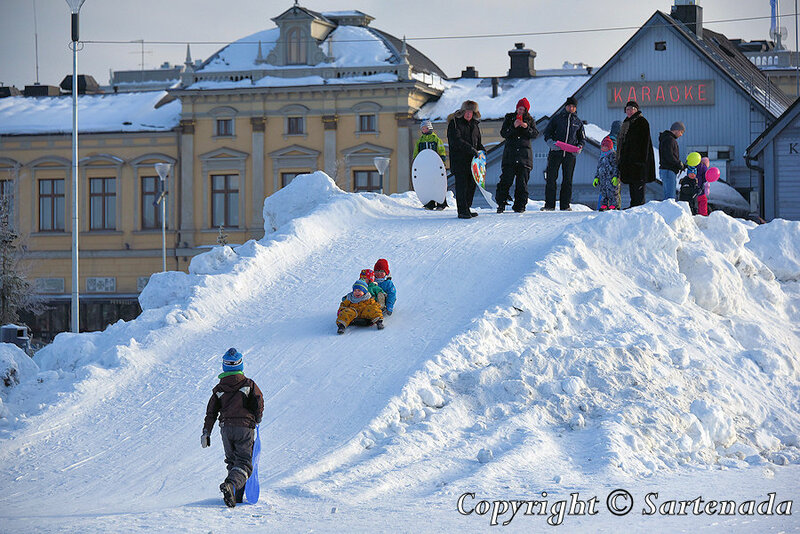 How wonderful to see so many families making the most of winter, Matti! 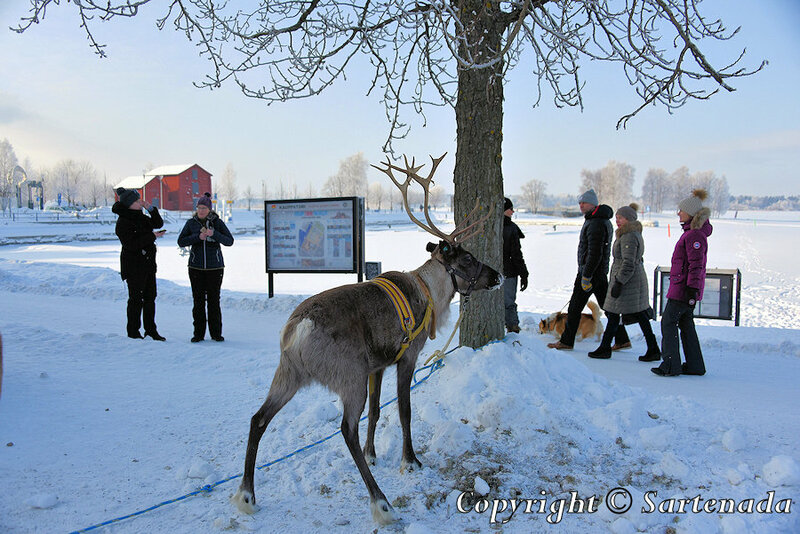 It’s a real treat to see the reindeer “up close” though your photos (especially their wide feet, which fascinate me). But I think my favorite photo of this set is that of the child in the yellow snowsuit with panda bears on it. The smile on that little face says it all! Thank you for inviting us to travel with you. I am very glad that You visited my blog and left Your praising comment. 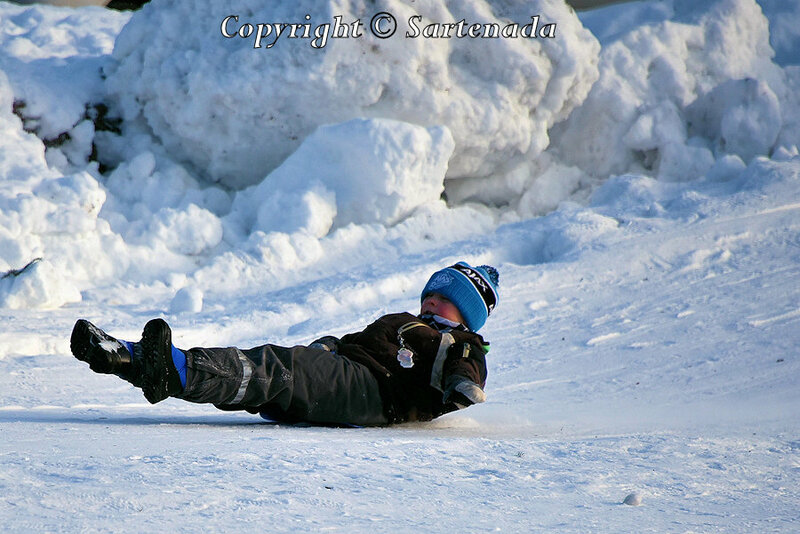 Yes, this child knows how to take pleasure out of winter joy and how to enjoy it. 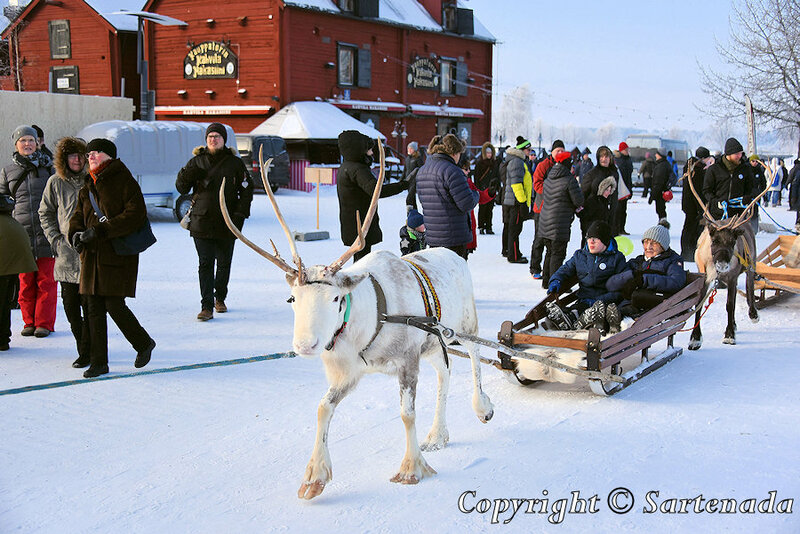 This winter festival continued for adults, because everyone could participate in a reindeer race, which is free. Thank You. 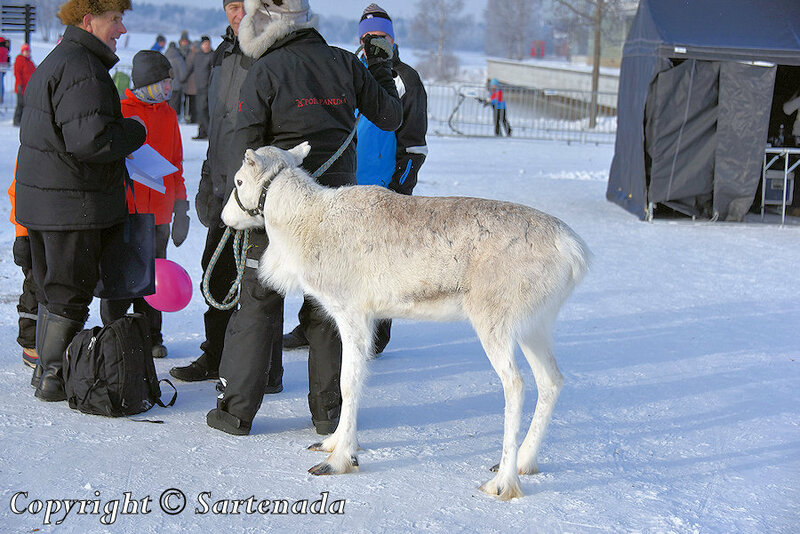 The first reindeer looks like it might be wondering if it will be a sled robe in the future…Nice fun photos! Well, yes so it maybe… I am glad that You commented and loved my photos. Thank You. A winter wonderland for children like in a fairy tale! Real winter wonderland for children indeed. 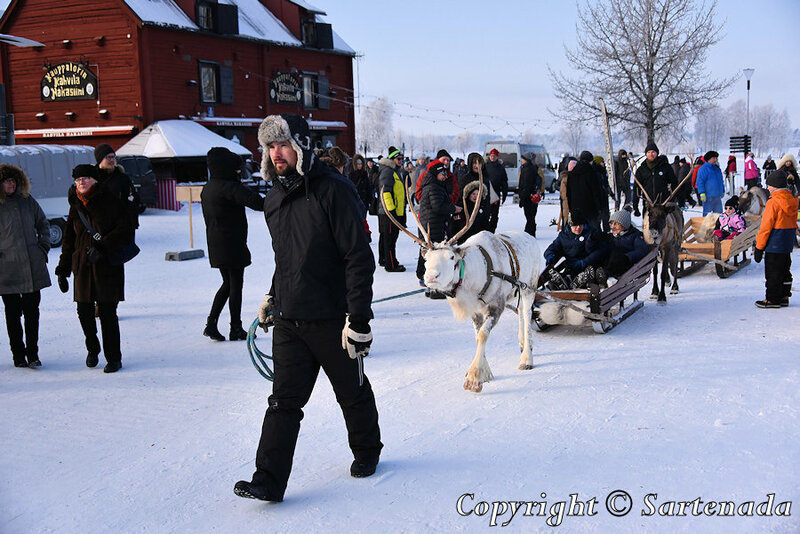 After these reindeer rides it was time for reindeer races, which are open for everybody and they are free? Thank You commenting. This looks like a lot of fun for children of all ages. 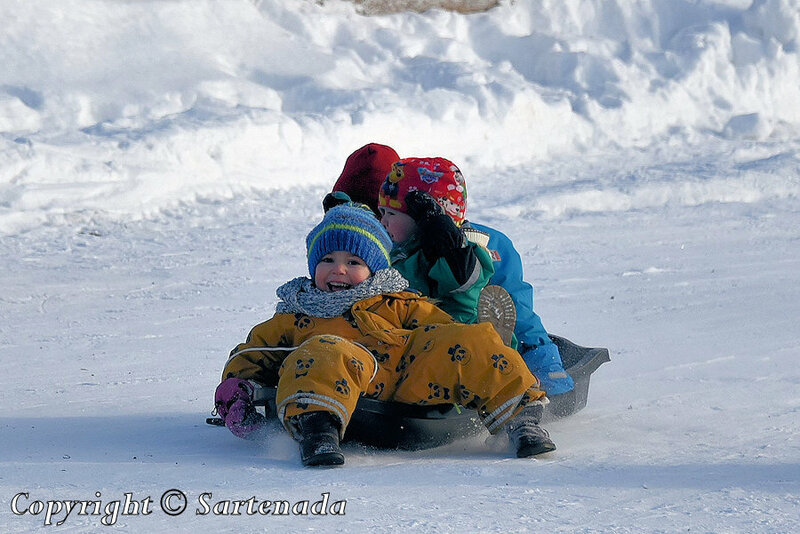 The smile on the face of one of the children on a sled is adorable. Happy smile on the lips – we adults need it also! Thank You for Your comment. Lovely photos, Matti! It’s almost like being there myself. I’m determined to see reindeer before we leave Finland. In the mean time, thank you for sharing! Some years ago, we were there one night when ending our road trip far beyond the Arctic Circle and returning to our home. They are well equipped. Another possibility is to take a night train and spend a night in a cabin, but it takes long time. 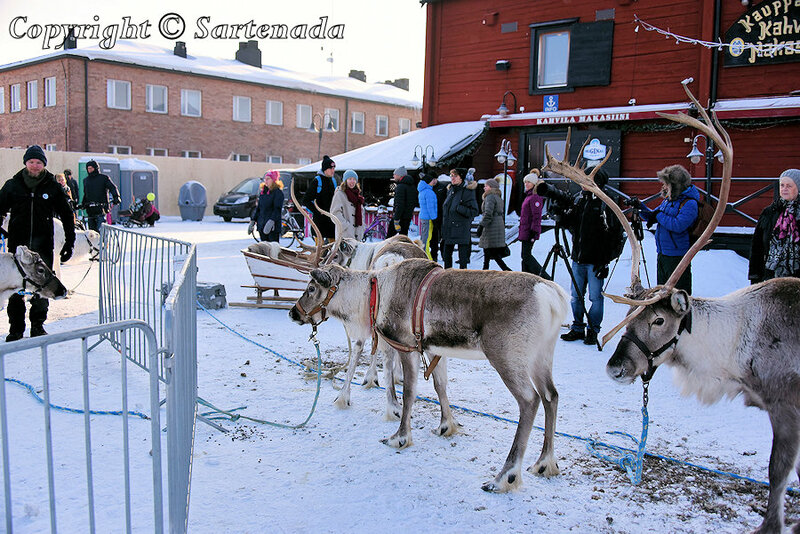 Photo with Santa and reindeer ride are must. I have shown the Arctic Circle in my many posts and I will post one in one month. Visiting Eleanor Roosevelt’s log cabin at the Arctic Circle is must for You. Eleanor Roosevelt (1884 – 1962) visited there in 1950 and she was the wife of the President Franklin D. Roosevelt (1882 – 1945). I show inside photos of this modest cottage, but it is historic. Best time to get winter / snow experience there is between mid-January and the beginning of April. This period guaranties snow and reindeers. Thank You leaving Your kind comment. Matti, you are a wealth of information! I did not know Eleanor Roosevelt had a cabin in the arctic circle. Now I really must visit! Knowing the best time to go (recommended by a Finn) is incredibly helpful. I know Santa’s village is always booked around Christmas, and I’m terrible at planning far in advance, but January-April sounds reasonable. Is it possible to see the northern lights then as well? Thank You praising my photos. I am glad that You loved them. Soy yo la que te da las gracias por tus amables palabras. This looks like so much fun. My kids would have loved this when they were little. Here in Arizona today it is a grey day with some rain but mostly it has been sunny and warm this past week. Beautiful photos, thanks for sharing. Thank You leaving your nice comment. I am glad that You loved my photos. 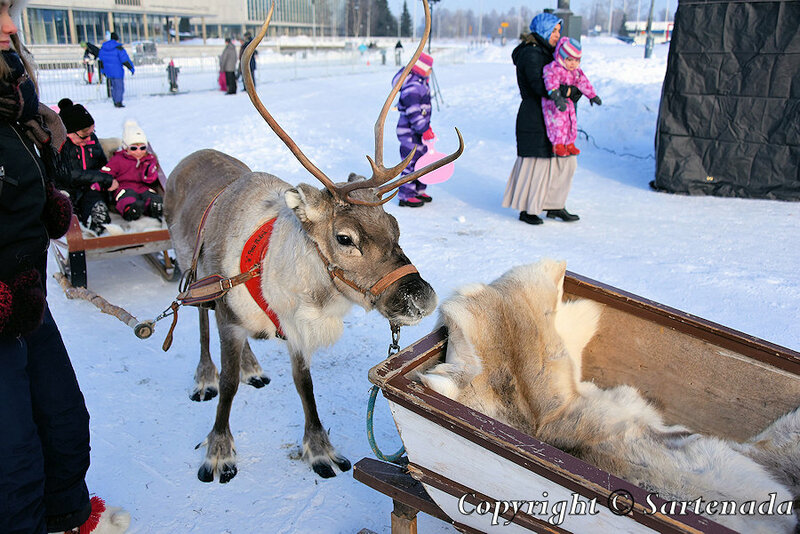 Reindeer and kids are so lovely. Thank You praising my post. Thank You. How nice to read that my photos reminded You of Your childhood. I am glad that You loved my photos. It does look like everyone was having fun in the snow. So many reindeer too! 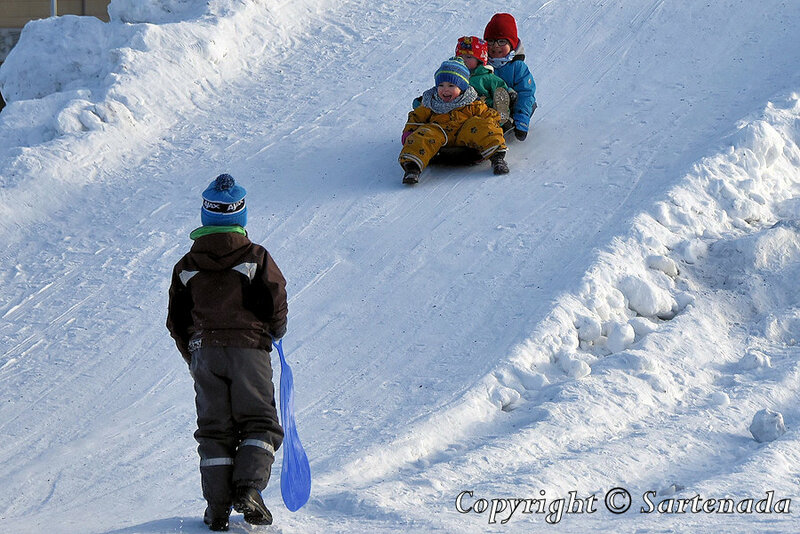 When having winter fun, You do not notice, if it is cold or not. 🙂 Thank You leaving Your kind comment. Our average maximum winter temperatures are usually between 15 and 17 degrees C and it rarely goes below 0 for a minimum. I think we would feel the cold, snow and ice even if we were enjoying ourselves. I would like to experience it one day. I understand this very well, Winter fun for adults will follow in my next post. 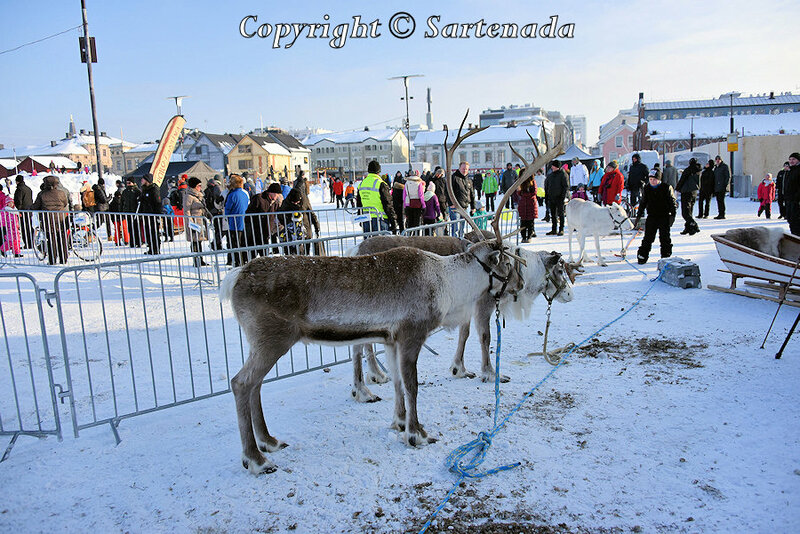 It is reindeer race which is open for everybody and it is free. I’m looking forward to seeing that! That looks like fun for children of all ages! 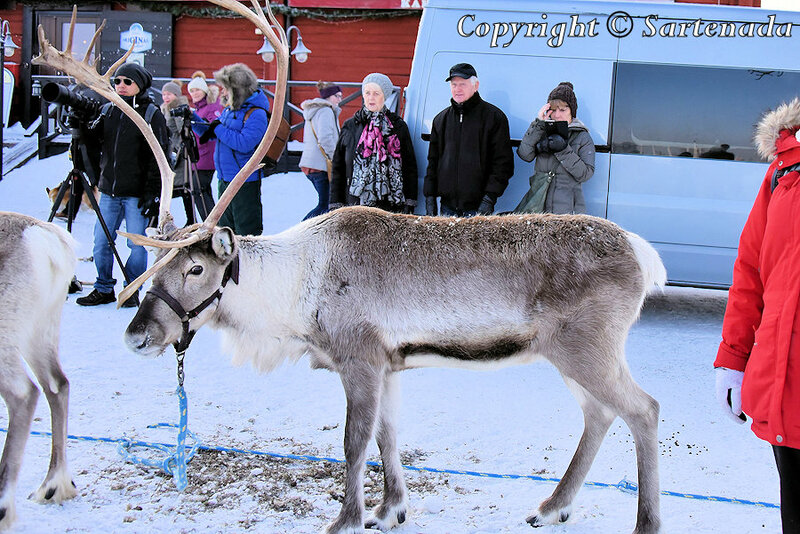 The Reindeer are so beautiful! How nice to read that You loved my photos! Reindeers cute and human friendly animals. We do love them. Thank You. Your wonderful photography beings Oulu to life. Thank you for sharing. Thank You praising my photos. I am glad that You loved them and left Your comment. This is the name of the first city to hear. Finland. The snow scene seems to be cold, but the scenery which is not in Asia Japan is seen and it is fresh! I am glad that You left Your kind comment. 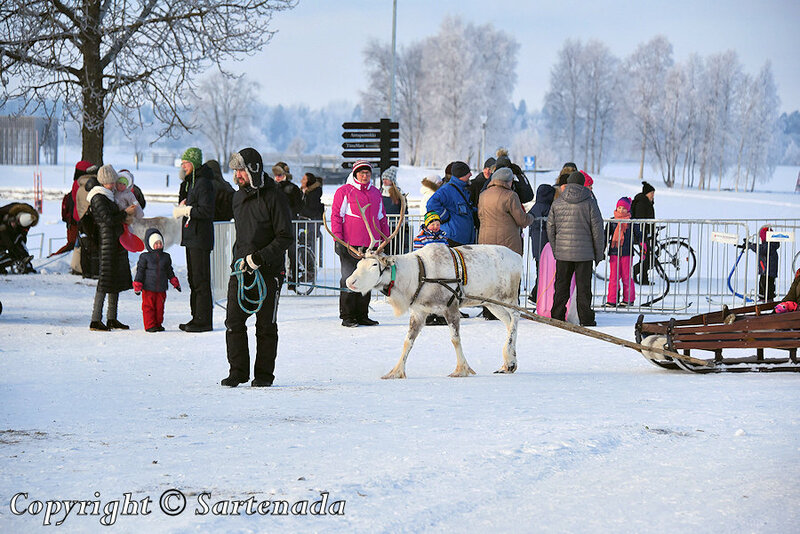 When winter, then it is time to enjoy snow and reindeer rides. 🙂 Thank You. 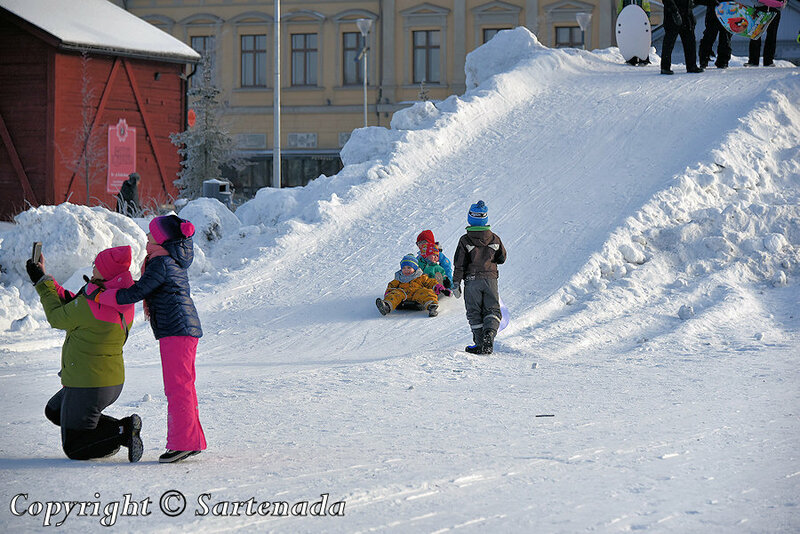 It seems that Oulu’s children survive the winter cold well without losing the cold. I thought children were attracted to the kind eyes of reindeer. Very kind words! Well said, I love it. 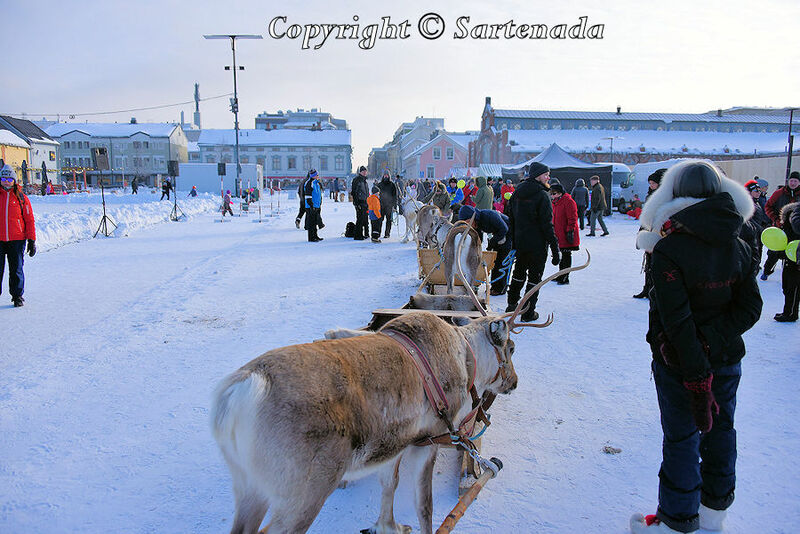 This happening in Oulu is popular there, but it is a pity that they do not advertise it generally in the whole country. I have tried to give information about it during the years in my blog. Thank You. I didn’t know that reindeer could have white fur until I looked at your photos. The white color is for many animals that live in snow-covered areas is a protective color. For example, rabbits are white in winter. 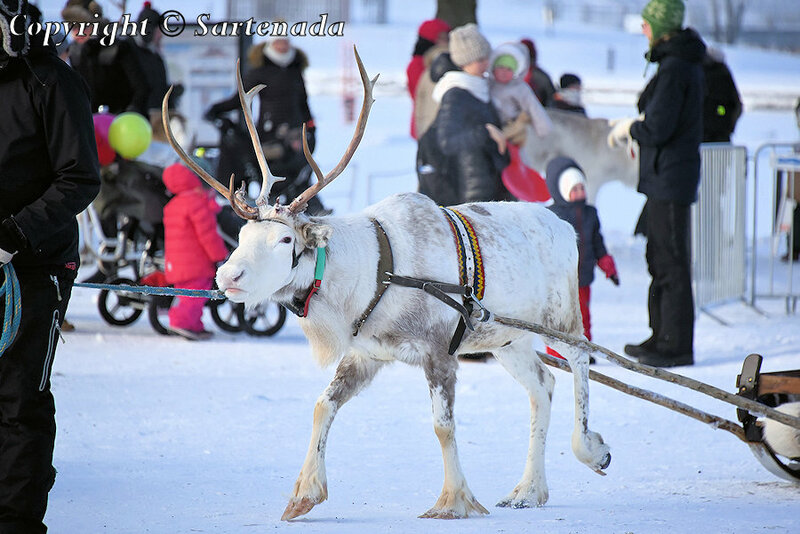 In general, the color of the reindeer varies from white to multicolored. Thank You. Hello! It’s a great reindeer! You went out. 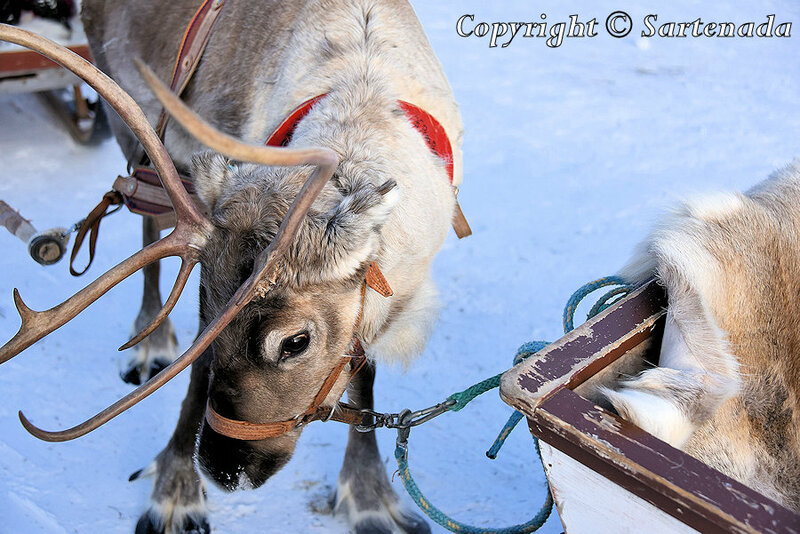 Is a sleigh comfortable to ride? The children are very happy. I also want to play with you. Thank You leaving Your kind comment. 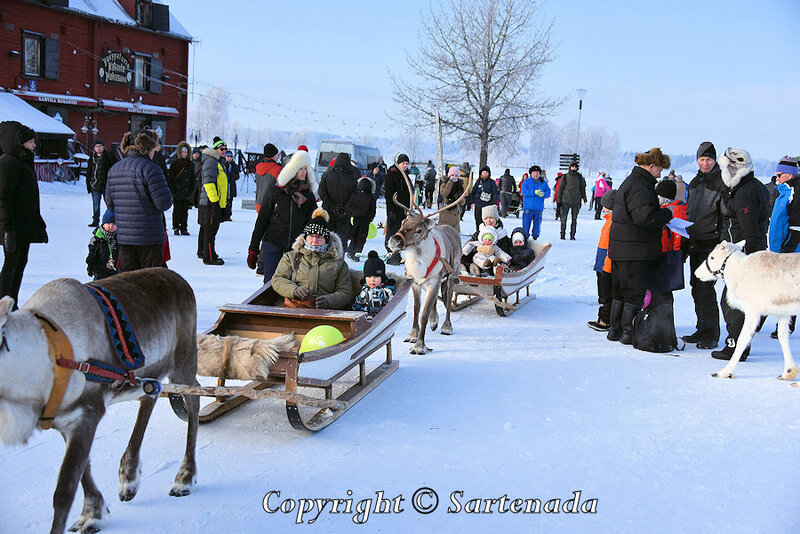 in Next post I present photos of reindeer races from 2018, which are open for everybody. Those races are also free of charge. This year, I had possibility to participate in it. The feeling was awesome. Thank You leaving interesting comment. Alaska – it is my dream to visit there one day. I have “been” in Anchorage in 70s, when our air plane, on the way from Tokyo to Copenhagen, made a technical stopover there. I remember well, the big mountain which was visible, when our plane took off. Now I do not remember its name. 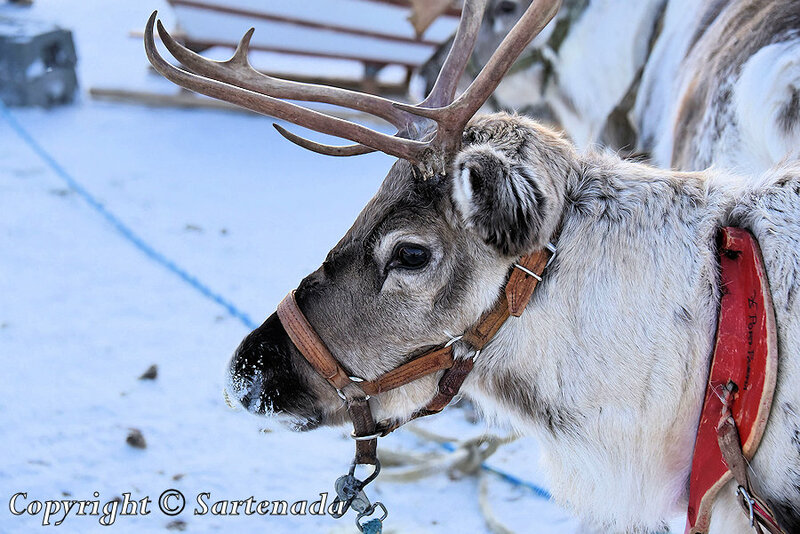 Reindeers are semi-domesticated and they can be met everywhere when hiking on our Arctic fells. In fact, they dodge from humans when encountered. 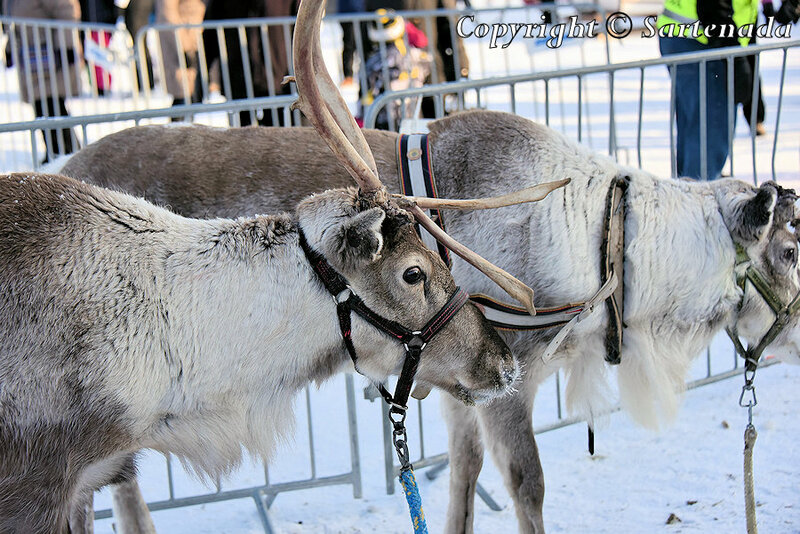 This winter’s reindeer race showed that they have feelings as us. 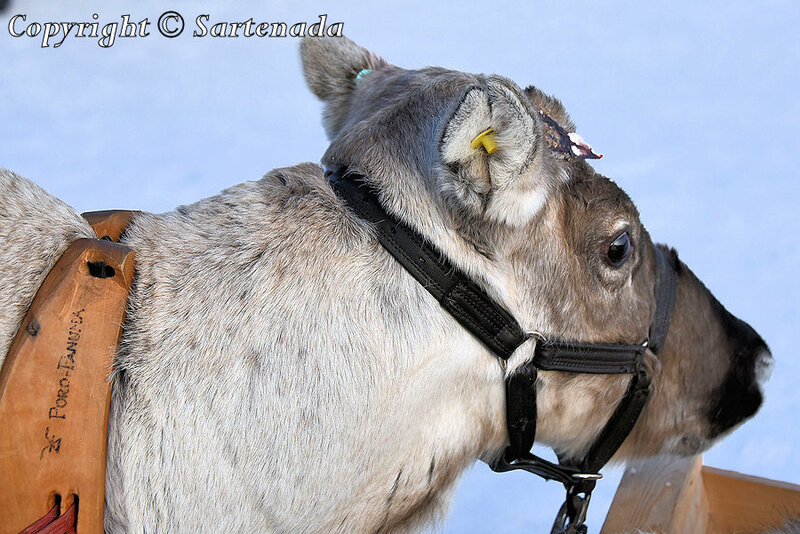 I shot a photo in which a reindeer “kisses” its owner. I had some cousins living in Alaska in the 50s and 60s but didn’t make it up there until the early 80s where I worked out of Anchorage. The mountain you saw would have been Mt. Denali (Mt. McKinley at the time), the highest mountain in North America, Sartenada. Thank You telling about Denali. In Finland we know very well this purchase. Also, we know many U.S. presidents. There is most probably one thing which You do not know about a certain president’s wife who visited the Arctic Circle in Finland. I have one post in which I mentioned about her, but in next month, I will tell more and show some inside photos. Thank You leaving Your kind words. In my country we have had in our TV “History: First Women”. It was a documentary in four parts introducing the first women in the United States and the way they left the White House and beyond. It was awesome and very interesting. The Kick spark sleds are interesting, I haven’t seen something like that before. Oh, I thought that it is wide spread in those countries where is snow! Thank You commenting. Delightful to see to children ,adults playing together ,enjoying a beautiful day! I am very glad that You loved my post. This shows that winter is not dull at all. 🙂 Thank you. great reindeer! I feel finland. How nice to read Your kind comment, that You loved my photos! Reindeers are cute animals in the nature also. When hiking in the north on some of our Arctic fells, then we meet them, because they roam free there. 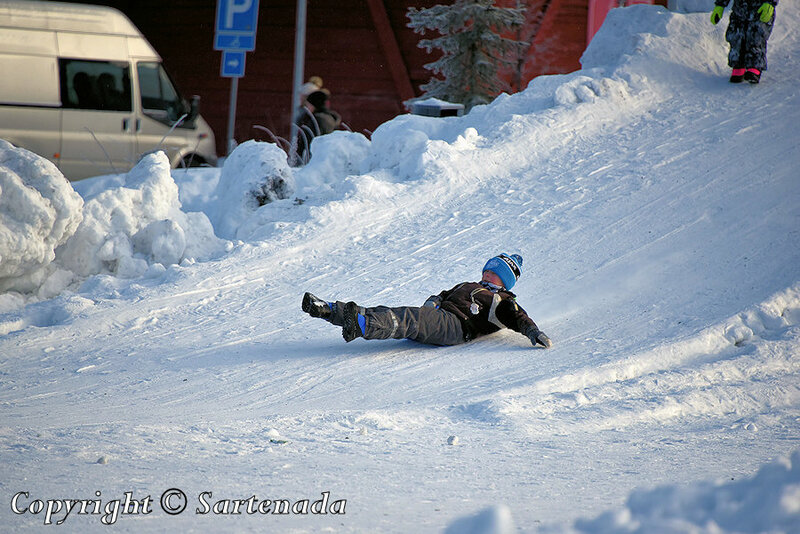 Winter fun for adults too. 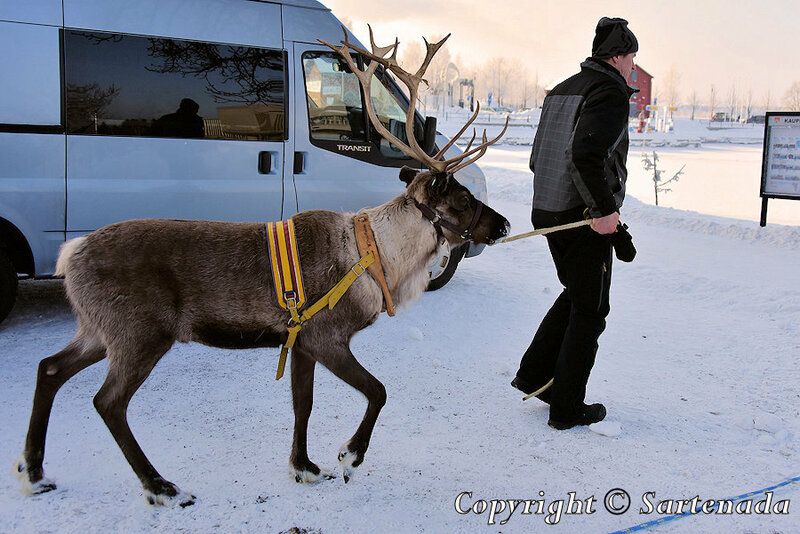 I’d love to take a reindeer ride! Maravillosas fotografías. Mi nieto Iker, de seis años, disfrutaría mucho con la nieve y los renos. Me ha encantado. Muchas gracias a ti por tu comentario. Nuestras partes del norte ofrecen paseos en reno para todos. ¡Bienvenidos algún año! Great fun yes, for kids and all families. Thank You commenting. Bundled up, it looks like the whole family has lots of fun and doesn’t mind the very cold weather. Cold is only matter of clothes! 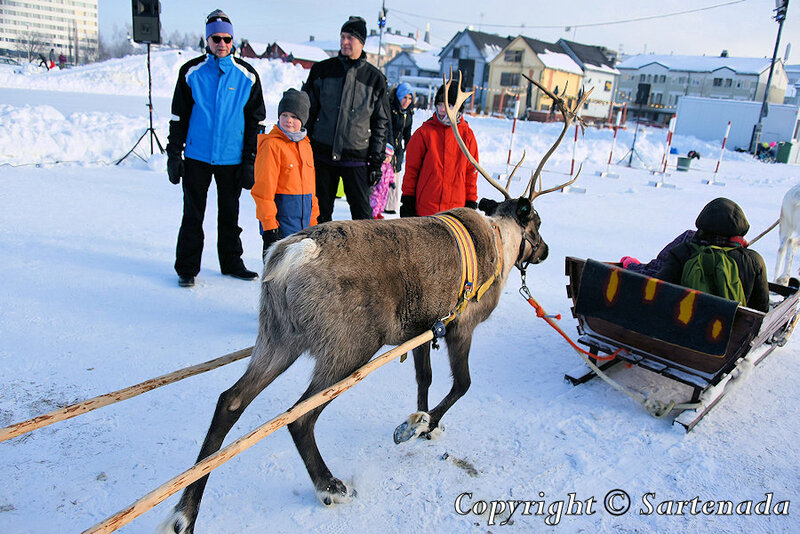 This happening to participate in reindeer rides is hold every winter. 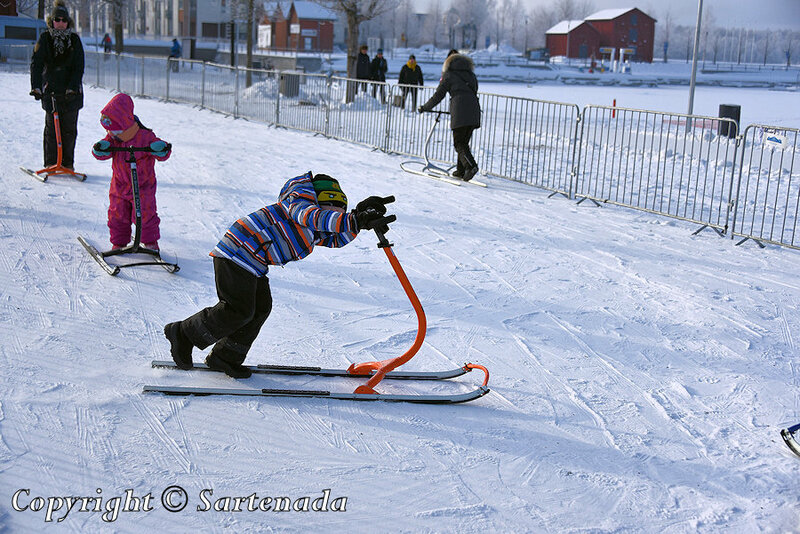 The town of Oulu thinks families and kids especially when arranging this possibility for winter fun. Thank You commenting. 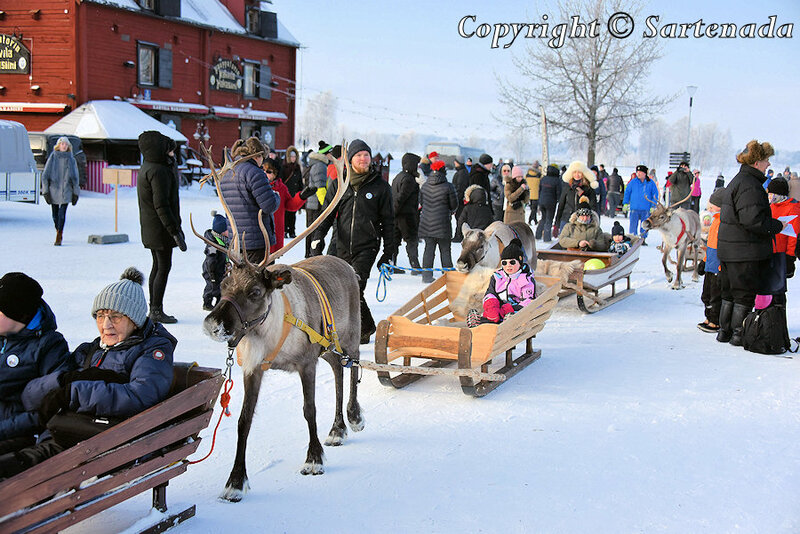 I thoroughly enjoyed these festive photos of the Finland winter scene, Matti, thank you so much. It is fascinating to see so much outdoor activity in these cold conditions that you are all so accustomed to, enjoyed looking at what you wear to stay warm, and the social gathering, the snow toys used. Especially loved seeing the reindeer. Thank You. Being sharp-eyed, You have noticed which kind of winter clothes we use. The main idea is clothing in layers and one of the most important is windproof cloths. That’s it. What about winter shoes. We prefer warm boots. Ours are warm even in the very cold weather. Fameuses découvertes pour moi car j’ignorais qu’il y avait des courses de rennes pour petits et grands.Tout le monde a l’air de bien s’amuser en tout cas.Les balades sous forme de “petits trains” doivent être bien agréables.Vos photos sont superbes. 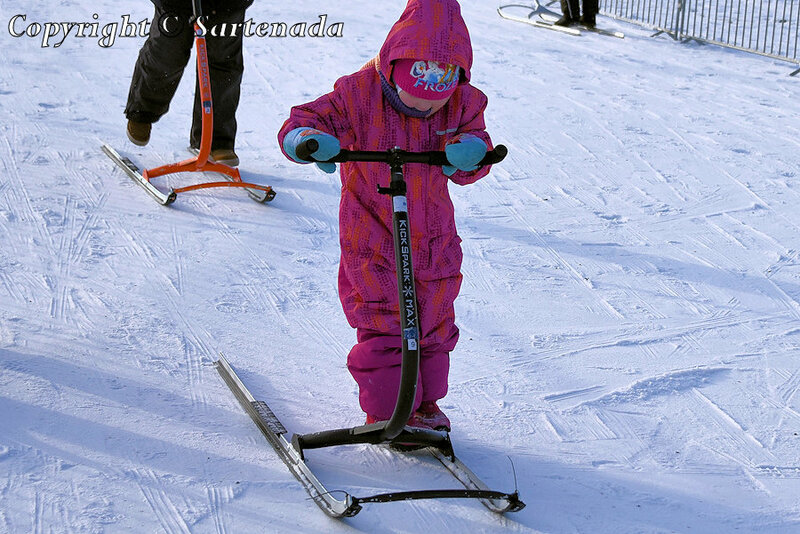 Les enfants s’en donnent à coeur joie et je n’avais non plus jamais vu des “trottinettes” avec des skis.C’est une bonne idée car on adapte tout au terrain. Merci pour ce partage hivernal. Cet événement est seulement en Finlande. Les rennes ont beaucoup de couleurs, mais les blancs sont rares. Le renne blanc a été dans toutes les courses et il semble qu’il nous connaisse. Mes photos datent des années précédentes, mais lors de notre visite dans la région cette année, le renne blanc nous a regardés longtemps et il semblait qu’il nous connaissait. Merci pour ce joli compliment. All the winter activities look like so much fun. But I am curious-do you still have this much snow? Is this what spring looks like in Finland? My photos are from February, which is the best time to experience in Finland. 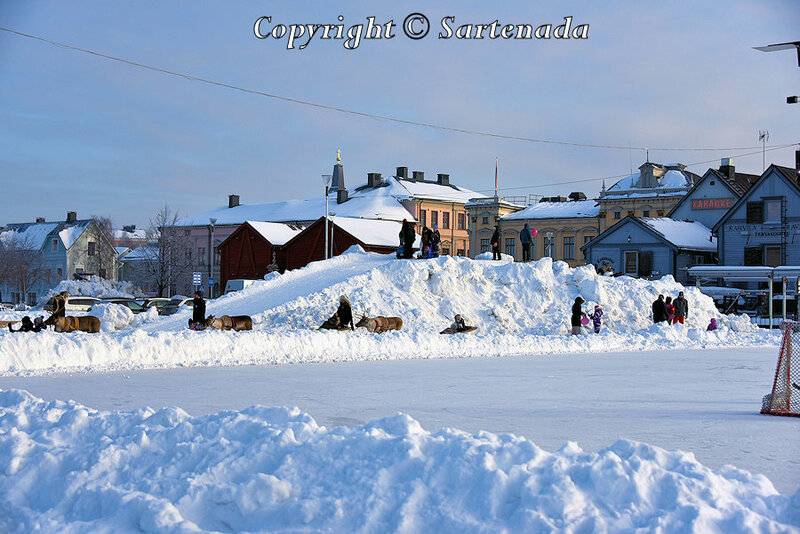 It seems there is still a lot of snow in Oulu, and near the Arctic Circle, but not in Helsinki. I know it takes a while for winter to release its grip, the farther north one moves. I hope you are enjoying your springtime.